Get to know Dr. Tahir. We value our patients' experience at High Point Chiropractic Wellness. Find out what our patients are saying! For more information or to schedule an appointment with our Syracuse chiropractor, call 315-214-8100 today! 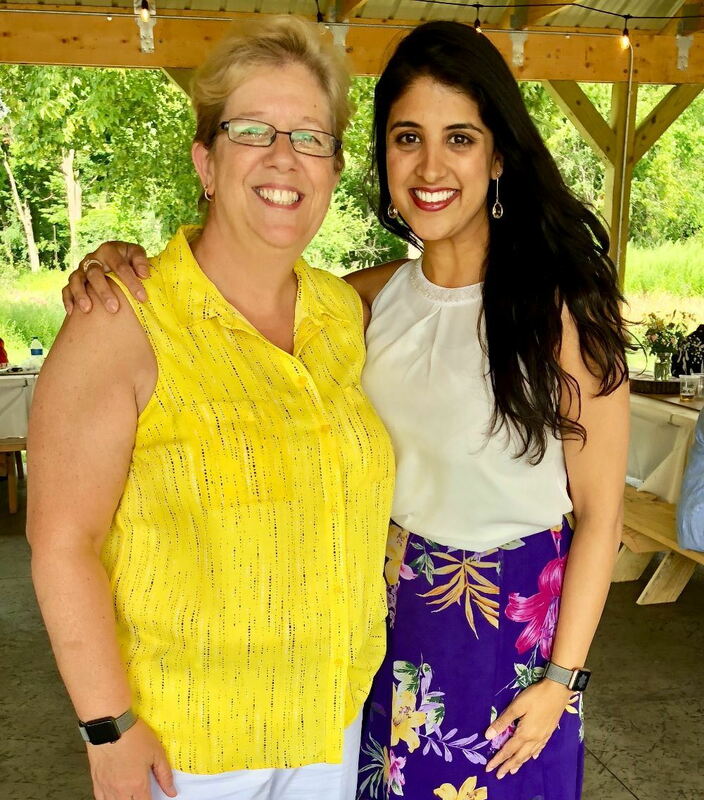 Dr. Irum Tahir & Dr. Nicole Lynk are chiropractors serving Syracuse and the surrounding communities. Our chiropractor and the rest of the friendly team at High Point Chiropractic Wellness are dedicated to chiropractic solutions to your unique needs, whether you are suffering from back pain, neck pain, headaches, or even just plain old muscular tightness and tension. You may need pain relief after suffering an accident, experiencing an injury, or if you have a specific condition such as chronic back pain or a spinal condition; even if you just want to improve your overall health, our chiropractor can help you achieve your wellness goals! 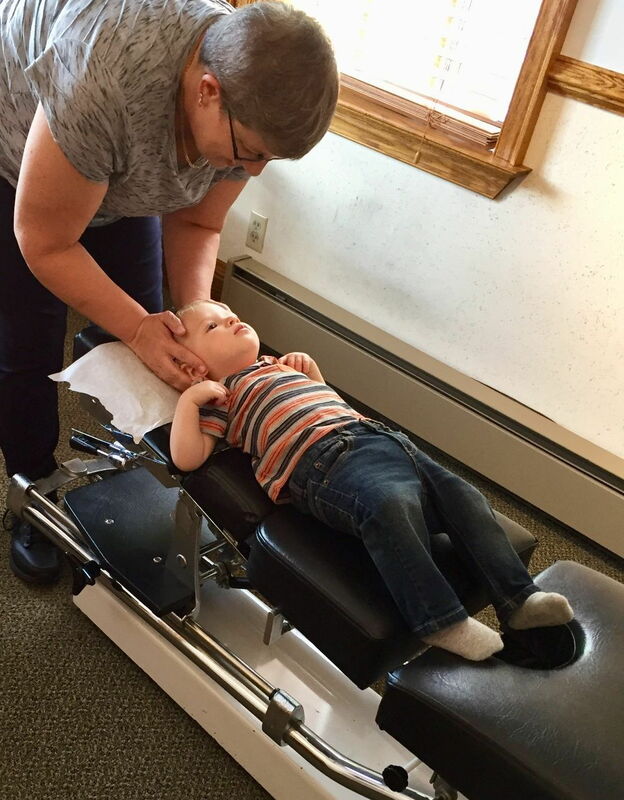 Please visit the testimonials page to see what our patients are saying about our Syracuse chiropractor and getting regular chiropractic treatments. At your first visit to High Point Chiropractic Wellness, Dr. Irum Tahir & Dr. Nicole Lynk will explain the science behind how chiropractic care works, and give you a full evaluation to see if chiropractic care is right for you. If there is a good fit, we can develop a plan of chiropractic care that is specific to your condition and health goals. If you are new to seeing a chiropractor and want to find out more, please email us or call 315-214-8100 to receive personalized answers to your questions from our friendly team. We also welcome referrals, so feel free to use the "Send to a Friend" link located at the bottom of every page to share our health information with your friends and loved ones. Dr. Irum Tahir earned her Doctor of Chiropractic degree from New York Chiropractic College. She has worked with public and private organizations in inner-city New York and rural Pakistan to improve health conditions through education. Dr. Tahir has worked in the countries of Madagascar and India working as an extension faculty member of Palmer College of Chiropractic in bringing Chiropractic to thousands of individuals who are less fortunate. She is personally and professionally committed to integrating wellness into daily life and specializes in the unique needs of women and children from a holistic perspective. Dr. Tahir is in the process of becoming Board Certified in Pediatrics and is Certified in Webster Pregnancy Technique.. Dr. Tahir created High Point Chiropractic Wellness in 2008 and since this time, the business has expanded several times. Dr. Irum Tahir was honored as one of the top 100 Entrepreneurs under 30 years of age in the US by the Kauffman Foundation and the Obama administration. She was honored at the White House and was chosen to speak on Entrepreneurship. In November 2013, the business model of High Point Chiropractic Wellness was honored at the United Nations as a top American business run by an Entrepreneur under the age of 35. 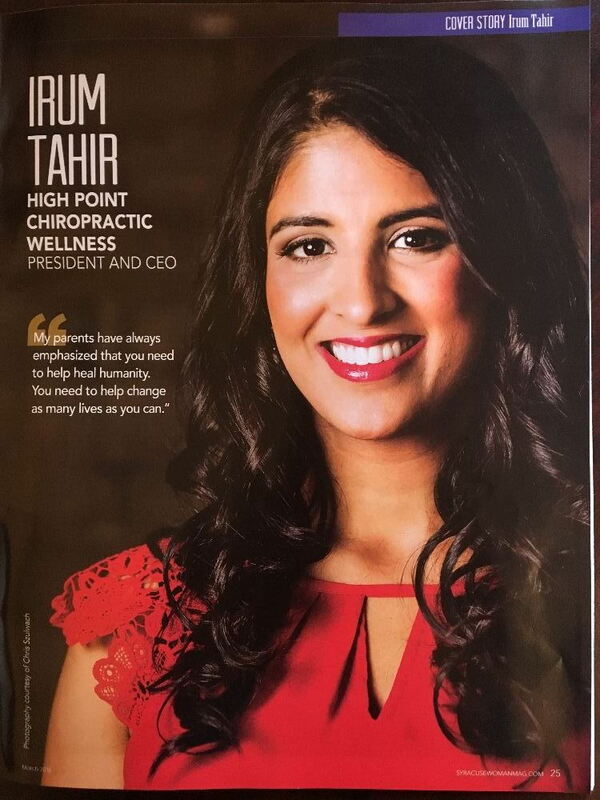 A member of the American Chiropractic Association, the International Chiropractic Pediatric Association, Dr. Tahir helps in advancing the Chiropractic profession by sitting on the Board of the World Congress of Women Chiropractors and the New York Chiropractic Council where she is also District President. 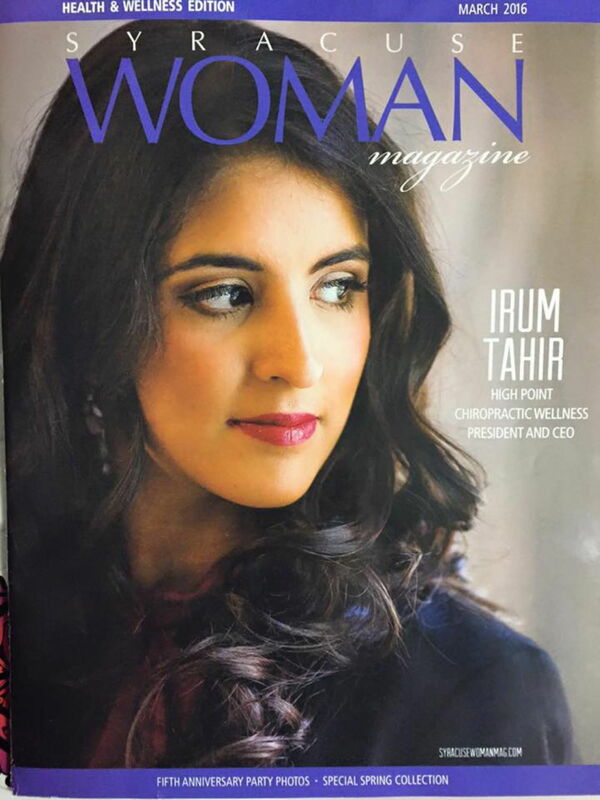 Dr. Tahir was named Woman of the Year within the Chiropractic profession in January 2014. 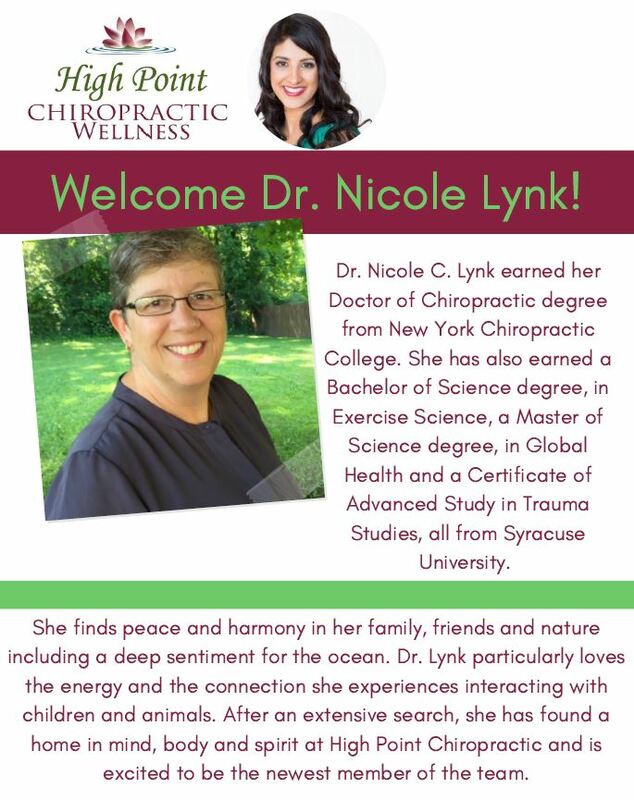 Dr. Nicole C. Lynk earned her Doctor of Chiropractic degree from New York Chiropractic College. She has also earned a Bachelor of Science degree, in Exercise Science, a Master of Science degree, in Global Health and a Certificate of Advanced Study in Trauma Studies, all from Syracuse University!!! Additionally she is Certified in Webster Pregnancy Technique. She finds peace and harmony in her family, friends and nature including a deep sentiment for the ocean. 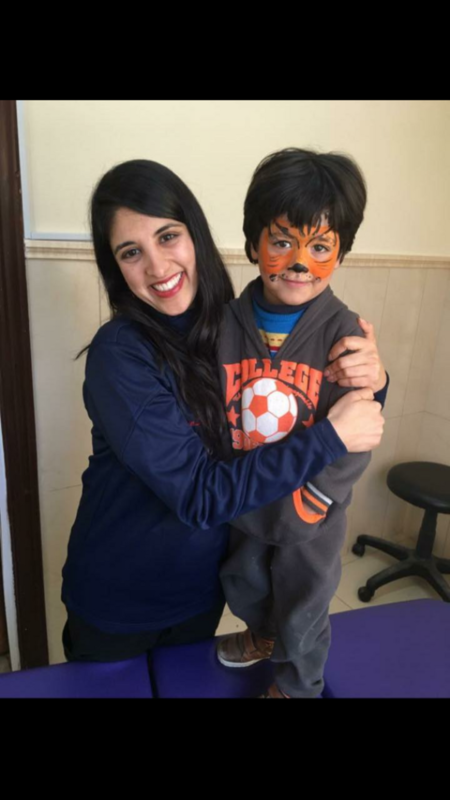 Dr. Lynk particularly loves the energy and the connection she experiences interacting with children and animals. 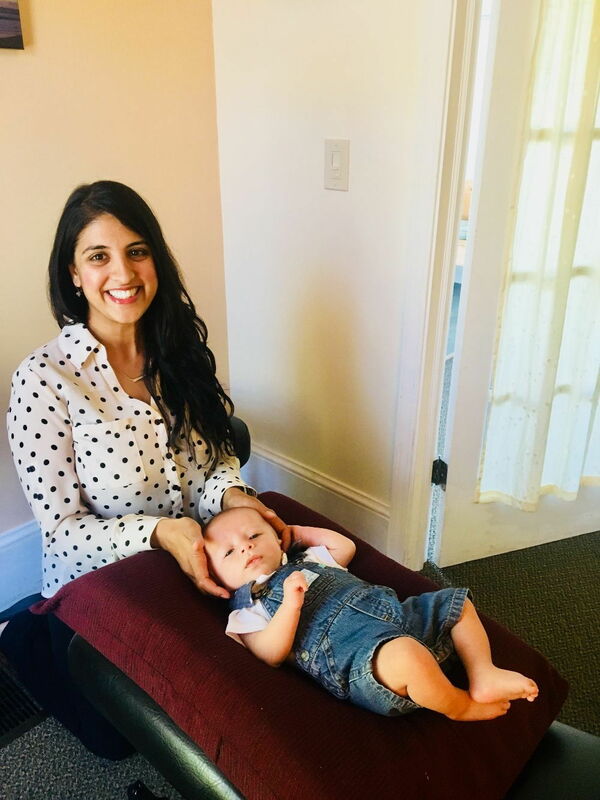 After an extensive search, she has found a home in mind, body and spirit at High Point Chiropractic and is excited to be the newest member of the team. Dr. Tahir MD received his Medical Degree from the prestigious Faculty of Medicine at Cairo University in Cairo, Egypt, then completed post-graduate studies in Pediatrics as well as Obstetrics and Gynecology from one of Ireland's top Universities: National University and Dublin University in Dublin. Dr. Tahir completed Clinical Internship and Residency in Pediatrics and Internal Medicine at Brookdale Hospital as well as Brooklyn Hospital through State University of New York at Downstate. Dr. Tahir also completed his educational experience at Sloan Kettering Cancer Hospital and has had more than 35 years of experience in practicing Clinical Medicine. After meeting with Integrative Medicine Guru, Dr. Andew Weil, Dr. Tahir began to pursue the practice of Holistic Integrative Medicine and he was able to cure his own arthritis, high cholesterol and obesity using this approach. Holistic Integrative Medicine is Dr. Tahir's greatest passion. Using a comprehensive approach with nutrition, supplements, vitamin, herbs, homeopathy, life style changes and other modalities, he tailors treatment to a person's individualized condition. Dr. Tahir focuses on a holistic view of the body and holds a specialization in conditions of and related to the Thyroid gland and the Endocrine system. Dr. Tahir is in network with POMCO and United Healthcare and out of network with many insurance providers. Dr. Tahir is proud to be a part of High Point Chiropractic Wellness’ atmosphere of love, care and healing. Dr. AZ Tahir and Dr. Irum Tahir often collaborate together on patients care so they ensure patients receive the best care possible. John Capozzi, LMT is a graduate of Boulder College of Therapeutic Massage in Boulder Colorado. 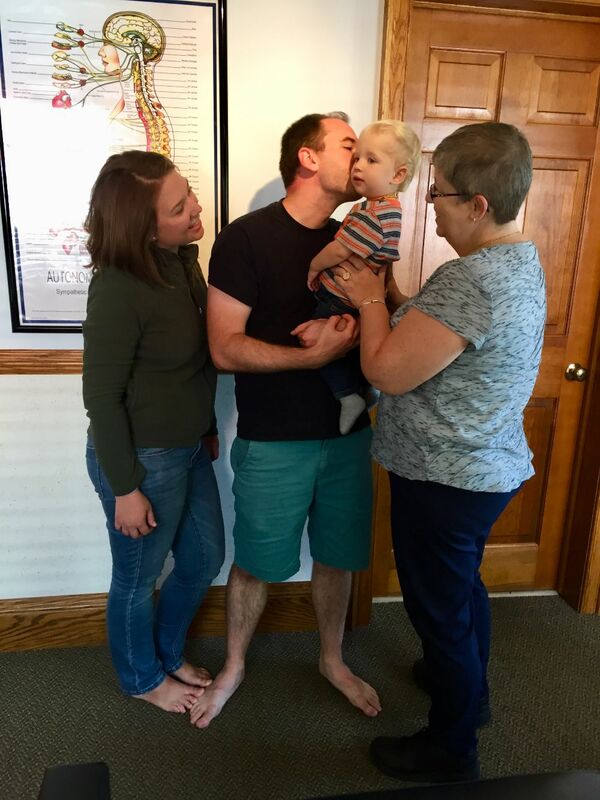 He is also a former massage instructor at the Utah College of Massage Therapy, and currently teaching treatment and sports massage at the Onondaga School of Massage in Syracuse, NY. In private practice, he focuses on decreasing pain and restoring proper posture. John is skilled in trigger point therapy, structural body-work, connective deep tissue massage. He is also certified in prenatal massage and Maya abdominal therapy (visceral manipulation). He has experience treating and achieving results with: Plantar fascitis, Sciatica, whiplash, Thoracic outlet syndrome, Rotator cuff injury and TMJ. John loves to work at High Point Chiropractic Wellness because he believes in treating the whole body to restore wellness and improve body mechanics. "One feels extremely well cared for if three people are paying attention; practitioners have the opportunity to exchange insight about the patient; egos are kept in check. Patient knows that someone will always be available. I have not encountered this team approach anywhere and I especially appreciate this aspect of the practice. The staff is genuinely friendly; professional yet caring; staff maintains appropriate distance yet one knows there is interest in the patient's well being." "I initially came to High Point Chiropractic Wellness for back pain and Sciatica. I am in no pain now, and have learned self healing exercises and stretches as well as an awareness of body posture. It has been a pleasant experience and everyone is very helpful and accommodating and the treatment is very effective." "I came to High Point Chiropractic Wellness for back and neck issues on the recommendation of a friend. It has been an integrative experience; not just a crack and send you on your way. I feel Dr. Irum and staff want to heal from the inside out and will incorporate many modalities to make it happen. I focus on a higher awareness of my part in the healing process. The energy at the practice is passionate, caring and creative. It's a very peaceful place to heal. I would refer others to High Point Chiropractic Wellness." "I came to High Point Chiropractic Wellness for neck pain and loss of motion. The personal attention given to patients exceeds what I received from other chiropractors over 15 years. I have the feeling that I am doing everything possible to maximize my health. I love the expertise of the doctor coupled with a truly caring approach to the patients. I have already referred several people to the practice." "The reason I came in was for neck and back pain. High Point Chiropractic Wellness was recommended by another chiropractor. This has been the most effective treatment I've received. Dr. Irum is nice, kind and extremely knowledgeable about her work. She also attends seminars to help increase her knowledge and continue her development in the field." "I came to High Point Chiropractic Wellness for neck and back pain. I was referred by my children and wife.I am much better. I like to go, everybody is extremely nice there.I am now able to movie my neck in both directions. The service is super!" "I had a painful condition of sciatica passing down the back of the thign and knee.My doctor had suggested surgery.High Point Chiropractic Wellness has been wonderful.I can really say that I began to improve within a couple of weeks.I have decided to continue going even though I don't have any problems anymore.I have been pain free and....I can wear heels again! I can relax there, there is an atmosphere of tranquility.I would definitely recommend High Point Chiropractic Wellness." "The time I spend at High Point is some of the most relaxing and helpful time I get all week. From the stuff to the ambiance, I feel cared for and not sold to. The doctors both know me and my body and they provide transparent healing for every visit. Thrilled with High Point Chiropractic." "My experience with High Point Chiropractic Wellness has been excellent. I have had a dramatic reduction in pain as a significant increase in range of motion." "I came here in March with a very tight mid back and Dr Lynk has done a wonderful job helping to loosen me and correct my posture. I feel very blessed for having met her." 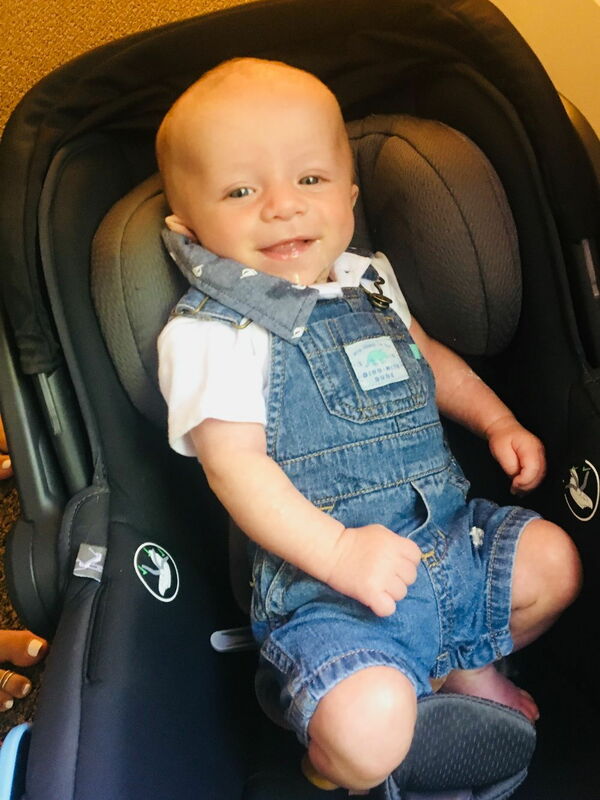 "I wish I came sooner all the bad pelvic pain I was feeling during my pregnancy was relived and has allowed me to be much more comfortable doing my regular activities for the remainder of my pregnancy." "I couldn't live without the services offered at High Point Chiropractic the Dr's and staff are always so helpful and knowledgeable, and they truely have passion for what they do."